The Trinity Surgery came into being because of population growth in Wisbech in the late 1980′s. 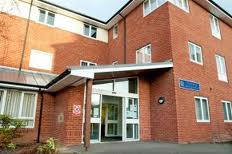 Both practices in Wisbech at that time, had more patients than they could cope with, so to enable the GP’s to continue to offer a good service, they agreed the solution would be a third practice for the town. With the approval of the FHSA and MPC, Dr Joe Neary joined the Clarkson Surgery as a temporary partner. All other lists were closed; so all newcomers were placed on his list, which grew from zero to 2000 within two years. During this time Dr Neary developed his own cost rent surgery. The biggest difficulty was finding a suitable site. This was eventually found after 18 months of hunting. The time scale of development was impressive, from site to completion of a purpose-built surgery in nine months. The practice was cost-rented for occupation by two doctors, but was designed to ultimately accommodate three. The staff amenity area was designed to convert into consulting rooms and the large attic turned into a staff amenity and administration unit. This conversion took place in 1996. By 1995, the practice list had reached about 4000 patients, which supported the expansion of the partnership. Dr Webb joined Dr Neary in July 1995. Growth continued and in 1998 the partnership expanded to three partners. The surgery was the first paperless practice in Cambridgeshire. The surgery design and practice systems were designed for this objective from the start, and we have been more successful than most in achieving the efficiencies of IT. We are an innovative and forward-looking practice. We were early advocates of developing skill mix in general practice. This included advanced nursing roles and we currently have two nurse practitioners who can work autonomously – diagnosing and managing many patient caseloads. Practice meetings are held once a month, and full staff meetings quarterly. We try to take “time out” from the practice once a year, usually with a facilitator, to prepare practice/business plans. We are particularly proud of the friendly and supportive environment we work in and relationships are encouraged and developed by regular social meetings. The practice has taken a lead role in encouraging cross practice collaboration; our existence is the successful outcome of this value. We helped to establish a locality group in Wisbech, which extended to the rest of the Cambridgeshire Fens in the shape of the Fenland Primary Care Group and ultimately the Fenland Primary Care Trust. During 2003, Trinity Surgery replaced its original Torex Meditel System 5, for EMIS GV, subsequently upgrading to EMIS PCS, then in June 2012 we upgraded to SystmOne a system used by all the practices in Wisbech and used widely in the UK. This has enabled us to to take repeat prescriptions via the internet and share information with hospitals and third party organisations. Consulting room workstations are equipped with Windows XP, Bodyworks and Microsoft OfficeR software. All surgery PC’s are networked and have online access to the NHS net. We are linked for registration and local hospital laboratory. Our practice library has Internet access to Medline and a CD ROM library including ‘Cochrane Library’ and ‘Best evidence’. We have an extensive book and journal collection. Practice meetings are held once a month to discuss day-to-day management and issues. The team for this is made up of the principals, practice manager, quality manager and practice nurse. We have weekly educational meetings for doctors, nurses and practice admin staff. We also hold regular meetings to review significant events (monthly) and review a series of clinical topics in rotation, such as Children and Families, Coronary Heart Disease, Elderly and Vulnerable, each of which are reviewed every three months. Because of the busy nature of general practice and the increase in demands we have a ‘time out’ each year for the core management team to look in more depth at major issues these can be both current topics as well as future arrangements. We are proud of the friendly and supportive environment we work in and relationships are encouraged and developed by regular social meetings. Following the failure of the imaginative Primary Care Services, as detailed above, Trinity Surgery worked with the PCT and a private development company to build a new primary care facility. Building work commenced in late 2004. Trinity Surgery moved to its new premises in December 2005. The first patients were seen there on 19th December. Wisbech Town Mayor, Carol Cox, formally opened the surgery on 31st March 2006. At the same time as the move to new premises, a sixth full-time partner joined the practice, to allow the practice list to fully open again for the registration of new patients. The new building also houses a pharmacy and local Community Health Services.